Ever wondered how to neatly tuck and fold those shirts and socks in a breeze? Here are some cool tips and tricks on How To Fold a Fitted Sheet video that i bumped from youtube. Melissa have shared her tricks with a taste of humor and wit. Below is the summary steps taken from the video itself, though you can watch the full coverage below. Make sure the stockings are nice and flat. Fold the top part in half. Lay the stockings down flat. Fold one leg on top of the other. Then, fold them in half twice. Roll to the top and take the folded over part and roll it over the entire roll of stockings. Lay socks flat on top of each other. Fold them in half and roll them to the top. Take the outer sock and flip it up over the inner sock. Lay the t-shirt down flat. Find the shoulder line and draw an imaginary line down to the bottom of the shirt. Consider the top of the shirt point 1, midway down the shirt point 2 and the bottom of the shirt is point 3. Take the hand closest to the top (your left hand) and pinch point 1. Use your right hand to pinch point 2. You should have a straight line connecting point 1 and point 2. Take point 1 and fold over point 2 and grab point 3. Then pull your right hand through and fold it over once more. Start by facing the elastic side down and spread out on a flat surface. Label the top point 1 and point 2. The bottom will be point 3 and point 4. Take the corner of point 1 and point 2, and fold point 2 over point 1. Take the corner of point 3 and point 4, and fold point 4 over point 3. The key to success is to keep all your corners tidy and flipped the same way. Match up corner 1 and 2 with corners 3 and 4. Lay flat on the ground and smooth out. You’ll want to fold in 3’s. Fold the bottom edge up first and the top edge over. Then fold it over again in 3’s and voila, a perfectly folded fitted sheet! For more cool tricks, check out our laundry tips and tricks blog. If your entire Sunday afternoon was spent on the laundry room for sorting the clothes, washing it, folding it and ironing it then you should know some tips to ease this process. Here, are five tricks on how to streamline your laundry routine. Generally, we spend lot of our time in sorting out the piles of dirty clothes before it is being washed. You should place laundry baskets in every room to eliminate the sorting of the clothes. You should sort your clothes in to three parts – colored clothes, delicate clothes and white clothes. When you take off your garment then you should place it on the correct basket so that you do not have to sort it out later on. By putting the laundry day in your schedule it makes easier for you to remember your task for each day and hence you do not pile up your clothes to be washed later on. By doing this, other members of the household also know the deadline for stocking in the dirty clothes so you do not have to hunt for the dirty clothes each day. By following this step you are able to do the laundering more than once in a week. You should hang your clothes immediately after it is been washed as it helps to reduce wrinkles. If your clothes are left in the dryer or it is been piled up in the laundry basket then wrinkles develop very fast on it, which means you have to spend lot of your time ironing these clothes. It is very common to lose socks in the laundry. You should wash your socks separately from rest of your clothes to avoid the hassle of tracking it down. After taking out your socks you should use a clothespin or a binder clip to clip the matching socks together to avoid it getting tossed in the washer. You can wash your socks with the clips or you can remove it just before it is been washed. You should make your laundry room in to an efficient laundry zone to get in and out of it as quickly as possible. For it, you just need a little bit of organization. You should firstly put all the things which you need within easy reach. Secondly, you should be prepared. 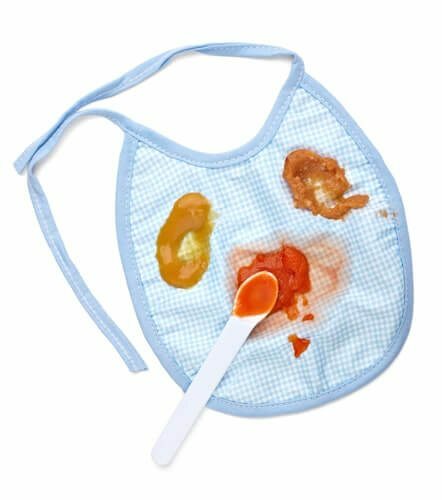 For instance, if your clothes have stains then you should keep all the necessary ingredients in your laundry room to take away the stains. We are all looking for ways to save money; however, sometimes we overlook some of the easiest ways to save money. Laundry is something we all need to deal with. 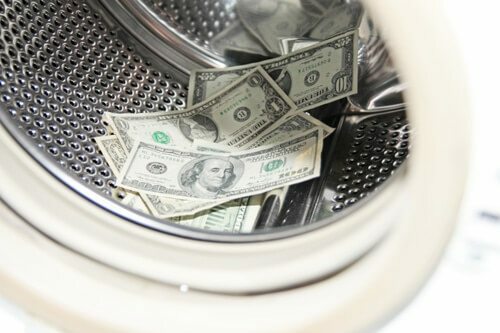 If you add up the money spent on detergents, fabric softeners, water and electricity you realize you are spending a lot of money just to keep your clothes clean. However, there are a number of ways to save money when doing laundry. 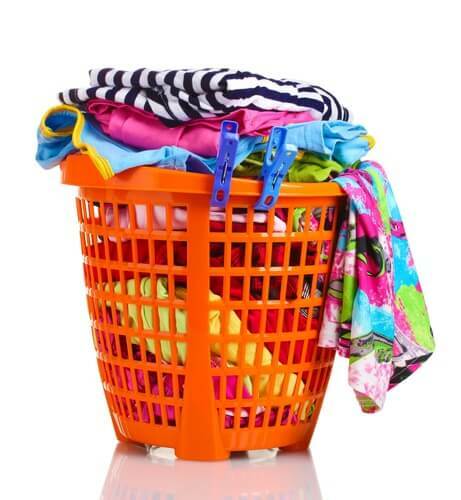 Here are some great tips on how to save on laundry costs while having cleaner clothes. 1. The number 1 way to save money when doing your laundry is to start washing everything in cold water. Washing machines and detergents have be engineered to clean just as well with cold water as they do with warm or hot water. Washing everything in cold water will also extend the life of your clothes. 2. Take some time each month to vacuum your lint traps in your dryer. While you have a lint filter to empty after each load, the filter cannot pick up all lint. Some gets trapped. This makes your dryer less efficient and therefore costs more to use. If you vacuum the lint from the dryer and exhaust your clothes get dry faster. 3. Stop using fabric softener and dryer sheets. Vinegar is great at making your clothes soft. So instead of fabric softener add some white vinegar in the rinse cycle to soften your clothes. To keep static away, you can use dryer balls, either made from aluminum foil or wool yarn. A few balls in each load will keep static at bay. 4. If you really don’t like the thought of using vinegar, you can easily make your own fabric softener for the dryer. Tossing a few sachets of dried lavender will add the fresh scent you like while helping to soften your clothes. These sachets will not reduce static, so be sure to toss in some dryer balls too. 5. Wash only full loads of laundry. This way you will wash fewer loads and fewer loads means you spend less. 6. Don’t be afraid of generic or store brand laundry detergent. The major manufacturers make these brands for stores so the quality is the same but the price is a lot less. 7. Laundry detergents are much stronger than you think. Combine that with the new higher efficiency washers and you only need to add half of the laundry soap you used to add. To ensure your laundry comes out just as clean as before, add some baking soda to each load. You laundry will just as clean, if not cleaner this way and you are saving quite a bit on laundry soap. You will start to notice that you are saving money in just a few months by follow these 7 tips. You will be using less energy, less water, and less laundry detergent but you clothes will be clean and fresh. Most families accumulate a lot of laundry throughout the week. Since we all have busy schedules, there may be some weeks that go by before completing the entire bulk of laundry. This is because laundry can take a lot of time and energy if not well managed. It is therefore important to re- strategize on how to deal with bulk and huge laundry to be able to save time and cost. For families with more than one child, it is important to do one load of wash a day. Make a wash plan for every week such as pants for Monday, cloths for Tuesday will help to keep every family member on track and keep the laundry floor cleaner. This will also prevent late night washing and also make laundry gathering easier. Not all clothes should go to the laundry basket after being worn. Talk to your family member and reeducate them about dirty laundry and when it qualifies as a dirty clothe. Encourage family members especially the kids that clothes that are not dirty can be re-worn. This will help save time and money. Laundry products are expensive so always look for a way to save some coins. Buying at a wholesale store is cheaper because they offer larger boxes and bottles of detergents at a reasonable price. However, if you have to buy at your local store make sure you clip coupons. When washing ensure you use washing products according to directions to avoid wasting detergent unnecessarily. This will help you save a lot of money. A good way to save money on laundry is to protect your clothes. This is by pretreating stains and air drying clothes. Every time you use the dryer, you will use a lot of electricity to dry your clothes and also the quality of your clothes is wearing down. All family members should get involved in laundry. By working as a family, laundry tasks will take less time than expected. If more hands are involved, it will consume less time to load and unload the washer and the dryer, to move and carry the laundry baskets, and also to fold and hang the clothes. It will also teach kids how to be more responsible in life. Laundry day may even turn out to be a fun day.